The most common type of baldness Total Hair Loss Solutions is asked questions on is called Male Pattern Baldness in Leeds.or more scientifically, Androgenetic Alopecia in Leeds. This type of hair loss usually starts with a receding hairline with the hair at the temple. This hair gradually recedes to form an “M” pattern. Then, the hair on the crown of your head begins to thin and eventually this bald spot will meet with the top points of the “M” pattern of receding hair line. Over time, the only remaining hair is the horse-shoe pattern around the sides of the head. The first signs of hair loss and baldness male or female pattern in Leeds is usually very distressing and one should seek professional advise. 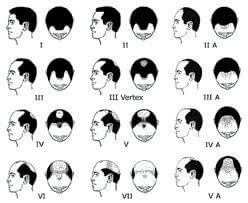 This classification was developed to assist in the identification of where in the hair loss process a man is. In addition to the change in the hair pattern, there is also a change in the hair appearance – any remaining hair usually is thinner and grows at a below normal rate. Male Pattern Baldness starts at puberty but can go unnoticed for many years late. This hair loss never stops but may slow down in later years. The hair loss tends to slowly, steadily progress through fairly typical patterns but there can be cycles of faster and slower hair loss. It is therefore impossible to know exactly how much hair will be lost and how quickly it will be lost, for any individual. 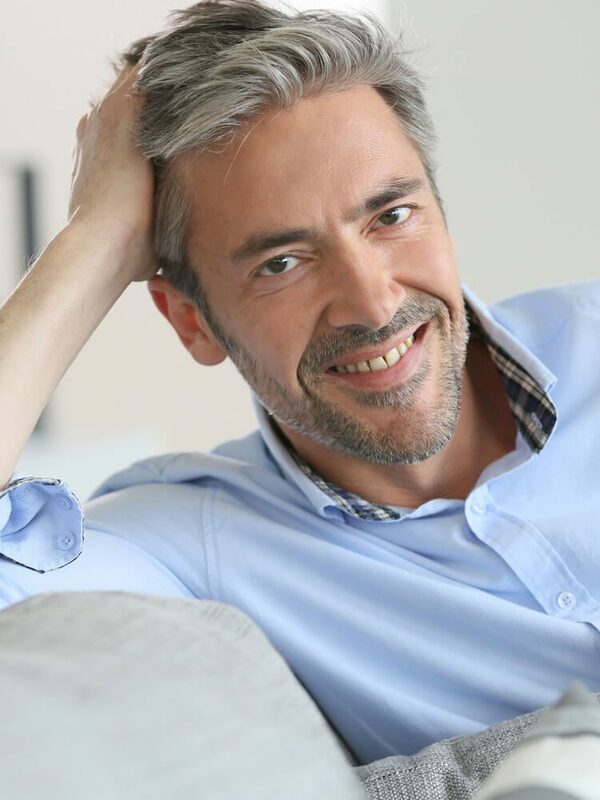 Fortunately, there are a number of excellent medical treatments that can prevent or postpone male hair loss when in its early stages and surgical treatments that can restore a completely natural look, even if the hair loss has advanced. No matter what stage of thinning hair in Leeds or baldness treatments you are looking for in Leeds, you may be experiencing various forms of hair loss in Leeds, thinning hair as a side effect of medication or surgery, Chemotherapy hair loss in Leeds, Tricotillomania in Leeds, Total Hair Loss Solutions can help find the right solution for you.